Can Termidor be used indoors? Should you wear a respirator or goggles when applying? What if it touches the skin? 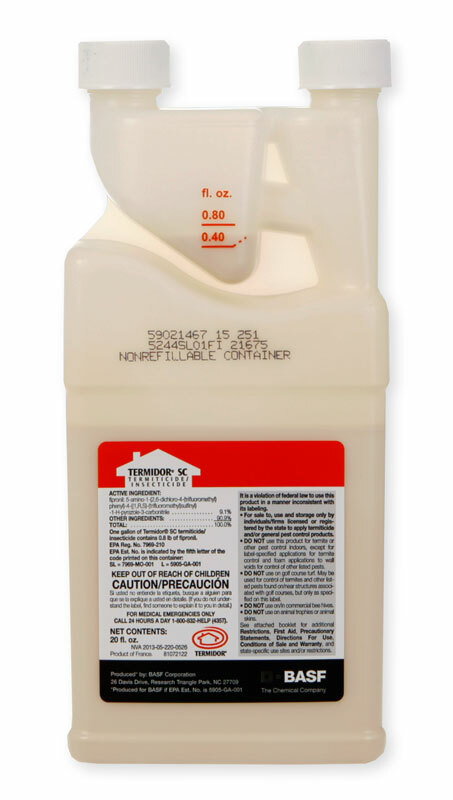 Termidor can only be used indoors inside of walls and under or below foundations for termites. It cannot be sprayed indoors along baseboards or sprayed in cabinets. Termidor is only to be applied outdoors along foundations, under slabs and inside wall voids. It can also be sprayed directly on infested BARE wood, but not when the bare wood is indoors - only outdoors. It also has limited applications for outdoor treatment of crazy ants in certain counties of South Texas and Louisiana. A respirator is usually not needed, only when applying in confined air spaces under homes, a long sleeve shirt, rubber gloves and appropriate protection are recommended.